Military Lottery – Spyderco, Inc.
Spyderco is extremely grateful for the service and sacrifice of the members of our nation’s armed forces. To show that appreciation, during Operation Iraqi Freedom (OIF), Operation Enduring Freedom (OEF), and Operation New Dawn (OND) we produced unique laser-engraved variants of our Native® 4 Lightweight knife and gave 50 of them away each month to forward-deployed military personnel. Currently, this lottery program continues with a special Operation Inherent Resolve (OIR) version of our Native 5 Lightweight (C41PSBN5). 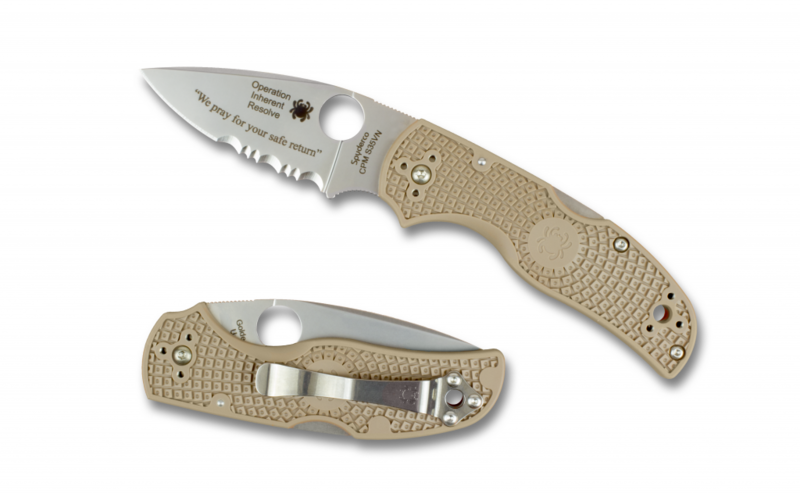 Eligible military personnel can enter the lottery by e-mailing us at militarylottery@spyderco.com. Please be sure to provide your APO/FPO mailing address in your e-mail.